Flat chest piece of anodized aluminium, designed for adults. Single side chest piece fits comfortably under cuff. 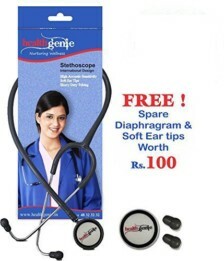 Spare diaphragm & soft ear tips worth Rs. 100 absolutely free. 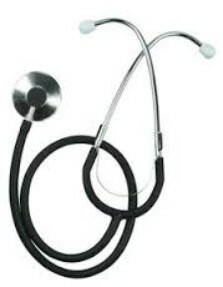 Brass chrome plated binaural adjusts easily for comfort. Heavy duty tubing & high acoustic sensitivity. 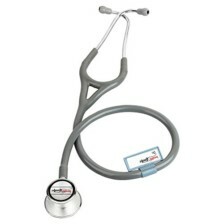 Most economical model especially for medical staff. Warranty: Comes with 1 year warranty. 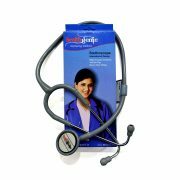 Healthgenie Mono Head Stethoscope HG-101G (Grey) is used to listen to the various sounds that are produced within our body (auscultation). 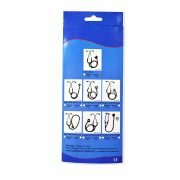 It is used to detect any kind of abnormal organ function. 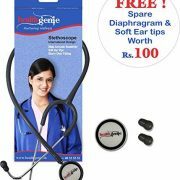 It is basically used to detect congestion in lungs and heart beats, less known to common man it is also used to listen to intestinal tract, flow of blood in the peripheral blood vessels, and heart beat of a developing foetus in pregnant women. 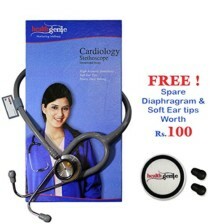 In combination with sphygmomanometer it is used to measure blood pressure. All stethoscope have a Y-shaped rubber tubing which allows the sound of the organ to enter through one end and travel to the other i.e to the ear piece. Diaphragm, it is the larger, flatter part of the chest piece. 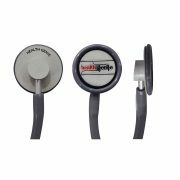 Bell, is the smaller, concave part with a hole in it.The diaphragm is a sealed membrane that vibrates like our ear drum does, thus moves the air in and out of your ear canal, and viola enabling you to hear the sounds. 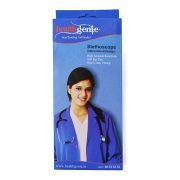 Healthgenie Stethoscope gives high sensitivity for exceptional performance when doing general physical assessments. 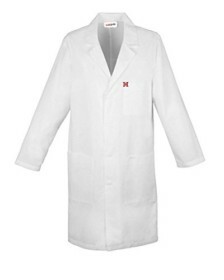 It comprises of mono feature (one sided functioning) and is easy to clean and maintain. Good product. Works just well. Arrived in a proper condition; no defects, damages whatsoever. I like it.